The Supreme Court ruling on Obamacare this past week upholding the many benefits included in the law has brought renewed attacks on the health care reform law—even though it expands insurance access and coverage for all Americans in an affordable way. To say the Affordable Care Act takes money away from Medicare and raises costs for seniors is grossly misleading and overly simplistic. Obamacare actually improves the program for Medicare beneficiaries. Here’s why. The Affordable Care Act eliminated the copayments and deductibles for important preventive services such as immunizations, mammograms, and colonoscopies, which 32.5 million seniors accessed at no cost in 2011. The law provides coverage without cost sharing for all recommended preventive services—those that receive an “A” or “B” rating from the U.S. Preventive Services Task Force—and includes new coverage for personal prevention plans. The law also creates new coverage for an annual wellness visit for Medicare beneficiaries, making checkups much more affordable for seniors. Along with the 10 percent boost in program payments to primary care providers—which incentivizes nurses, physicians, and others to provide primary care and is expected to grow the primary care workforce by 16,000 providers in five years—the Affordable Care Act makes maintaining a healthy body and mind much easier and more affordable for all Medicare beneficiaries. Obamacare closes the important prescription drug coverage gap in the Medicare Part D program known as the “donut hole,” when an enrollee’s costs are more than a certain amount—$2,380 in 2010 when the health care law was passed—leaving the person responsible for all prescription expenses until those costs reach a higher amount—$6,440 in 2010—at which point the person is responsible for 5 percent of drug costs. In 2010 this meant that all beneficiaries who had total medication costs within that $4,060 gap had to pay their prescription bills in full without any help from Medicare. Without Obamacare that donut hole would’ve grown to a $6,000 gap by 2020. Instead, it’s shrinking every year and will disappear by 2020. The Affordable Care Act has saved more than 5.25 million beneficiaries more than $3.7 billion on prescription drug costs since it began closing the donut hole in 2010, and it will only continue to help as the gap is closed more each year. The Affordable Care Act has also improved the quality of care provided to seniors enrolled in Medicare, while making care more affordable. Those enrolled in Medicare Advantage (Part C) have enjoyed 16 percent lower premiums since 2010. There has also been a 17 percent increase in enrollment in the program and higher numbers of beneficiaries opting for higher-quality plans in this time period. Almost 13 million Americans are enrolled in the program as of February 2012—2 million more than the Congressional Budget Office predicted would join by this time. The health reform law also establishes a new Center for Medicare and Medicaid Innovation, which tests new payment and service delivery models designed to improve the efficiency and quality of care. Upon assessing and finding success in these models, the innovations can be replicated and spread nationwide. These efforts should help further hold down the costs of health care for Medicare beneficiaries and taxpayers over time while improving the quality of care for Medicare patients. The Pioneer Accountable Care Organizations initiative is a perfect example of the great potential of the Center for Medicare and Medicaid Innovation. At least 32 health care organizations across our country are already taking part in this initiative, pledging to provide better, more coordinated care to seniors enrolled in Medicare—with potential savings of $1.1 billion. 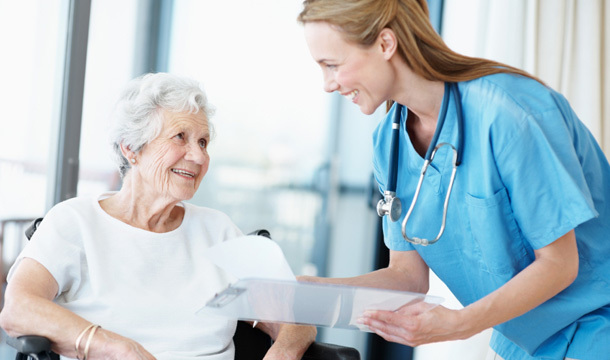 The pilot program allows the health providers to move away from a volume-based, fee-for-service payment system to one based on the quality of care provided, meaning improved care for seniors at a lower price. The Affordable Care Act extends the life of Medicare’s Hospital Insurance Trust Fund, which finances inpatient hospital services, post-acute care, and other services for Medicare enrollees. Previously Medicare’s trustees expected the fund to be depleted by 2017, but Obamacare—by keeping costs under control and paying for coverage in a sustainable way—extends its life until at least 2024. The law prevents harsh cuts from the program that would’ve been necessary without reform due to Medicare’s previously out-of-control growth. The health care reform law also manages the growth of Medicare through the use of the Independent Payment Advisory Board, which reduces the influence of special interests in setting Medicare payment rates. The board is tasked with limiting growth of the program: If growth exceeds a target rate—growth in the economy plus 1 percentage point after 2017—then the board must propose savings that either reduce growth to the target rate or cut spending by 1.5 percent, whichever is less. Opponents of the Independent Payment Advisory Board have put out misleading information on the program, saying that it will ration care or reduce benefits to enrollees. But in reality there are protections in the Affordable Care Act to guard seniors from exactly those situations, which is why the board is a good way to cut costs while keeping Medicare intact. And though the final decision whether to institute the board’s recommendations rests with Congress, the board is essential to reducing the rate of long-term growth in Medicare—without it, the federal deficit and other long-term debt would increase in the next decade. The Affordable Care Act clearly is good for Medicare and its beneficiaries. The law ensures higher-quality, lower-cost care for all enrollees and extends the life of the program, while shifting payment methods and altering various provisions of the program to reduce both our federal deficit and the extent that special interests play a role in funding Medicare. It’s hard to find a fault in that.